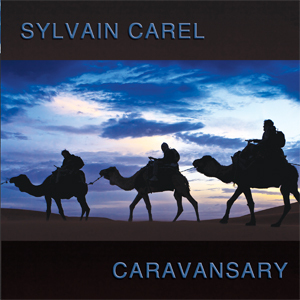 Sylvain Carel – Caravansary CD for July 2012 release. 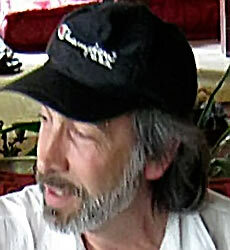 AD Music is pleased to announce the debut CD release of Sylvain Carel. Caravansary will be released in July 2012 and is a superb album of inspired instrumental music. French composer Sylvain Carel’s music is an expertly crafted blend of contemporary, instrumental electronic music with strong ethnic influences without ever becoming ‘world music’. Combining synths, guitar and various other acoustic instruments, rhythms and vocal textures, the music is an extraordinarily captivating and varied soundtrack style. This is contemporary electronic soundtrack style music of the highest quality. Varied in tempo and style, the 22 interlinked tracks present a glorious kaleidoscope of moods with occasional ethnic influences provided by subtle and at times stunningly beautiful vocal textures. Sylvain plays synths and occasional electric guitar and presents some truly inspirational and wonderful cinematic themes and textures that lift this extraordinary musical journey far above the norm. This is evocative, landscape style film music to be savoured as it becomes your own personal soundtrack for the mind. Full details and soundbites can be found on the AD Music website. There is also a 10% pre-order discount, just enter – caravansary – in the coupon box when ordering. ~ by admusic on January 31, 2012.